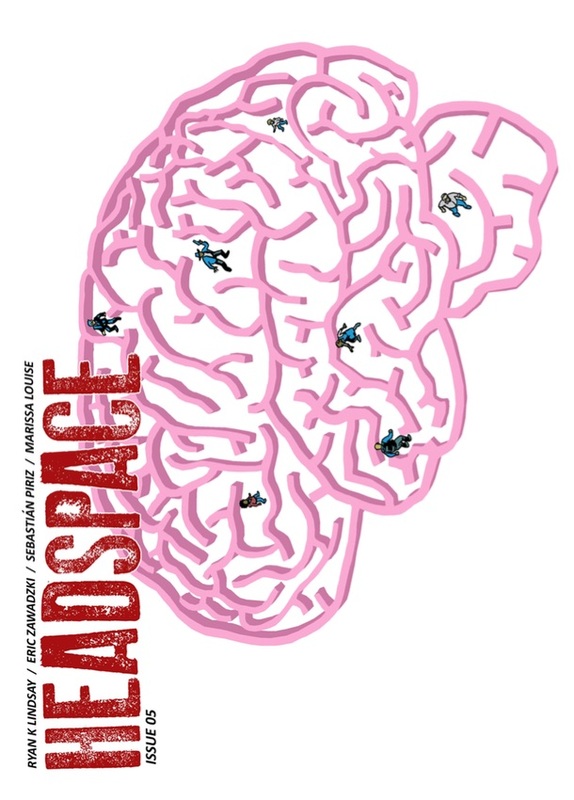 I originally profiled Headspace from Ryan Lindsay (writing), Eric Zawadzki / Sebastian Piriz (art) and Marissa Louise (colours) over at Bleeding Cool a number of months back. Since that time the team have produced issues #3, #4 and #5, with #6 coming up soon in the eight-issue series. 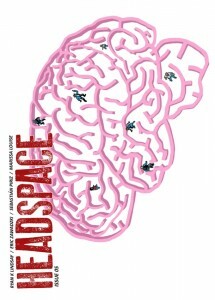 Headspace is a story of a town called Carpenter Cove and its cop, Shane. The hook is, Carpenter Cove is purely a construct of another person’s mind. A mind that needs to be controlled for purposes that become clearer as the issues progress. Having just re-read issues #1 and #2 and devoured the other three directly afterwards, I feel safe in saying that this series initially promised a lot and it’s delivering that promise, plus some. The setting of Carpenter Cove as a purely mental construct allows for locations and events that otherwise couldn’t be pulled off, and Zawadzki’s art accentuates the achievement. Lindsay’s writing brings the psychology of the characters to the fore and it brings depth to a story that otherwise could be written off as a ‘cop versus monsters, a villain and the shadowy government agency’ schtick. It’s so much more than that, and aside from a minor criticism that I find the story timelines / dimensions a little hard to grasp sometimes, it’s hard to see any downsides on this series beside the disappointment I’m expecting when it wraps up in issue #8. For what it’s worth I’m going to miss the writer’s notes at the end of each issue as much as the comic itself. Here’s where to go and get your own fill of Headspace.